Some people hate going to the dentist, while others enjoy getting their teeth checked up on. But, do you know something everyone can agree on? No one wants to pay more to see the dentist than they have to. 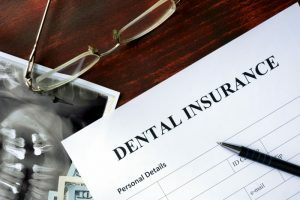 If you have dental insurance, you could actually save hundreds of dollars by using your benefits by the end of the year. Keep reading to find out why it’s important to use your benefits before New Year’s with your dentist in Grapevine. What is the yearly maximum? It’s the most money your dental insurance plan will pay for your dental work within one full year. The amount can vary based on your insurance, but the average maximum is usually around $1,000 per year. Your maximum renews every year on January 1st, so if you’re not using those dollars, they’ll be gone forever. Your deductible is the amount of money you must pay out of pocket before your insurance will pay for any dental services. Typically, the average deductible is around $50 per year, and the deductible also restarts on New Year’s. If you pay premiums (money taken from your check for insurance), you should definitely be using your benefits. Even if you don’t have dental problems, you should see your dentist for regular checkups and cleanings to take advantage of your benefits. These regular visits can detect early signs of cavities, gum disease, and other dental issues before they become more serious. An additional reason you should use your benefits before the end of the year is the possibility of fee increases. Dentists may raise their rates for reasons ranging from a new office to cost of living. To be sure you’re getting your savings while you can, use up your yearly maximum before New Year’s! When it comes to dental problems, you never want to delay. Putting off treatment will end up costing you in time and money down the road, so you might as well see your dentist before the year ends to make sure your teeth and gums are healthy. Many times, people prolong treatment of a cavity and it turns into a root canal. Regular visits will save you time, money, and most importantly, they will keep your mouth healthy. Now that you know how to maximize your dental benefits, schedule your appointment with a Grapevine dentist before the year ends! Dr. Gregory D. Martin enjoys providing quality care to his patients at his family-oriented cosmetic and general dentistry practice. He works with many types of insurance plans to get you the dental care you need, while using your insurance to its fullest potential. For any questions, he can be contacted through his website or by phone at (817) 481-1041.